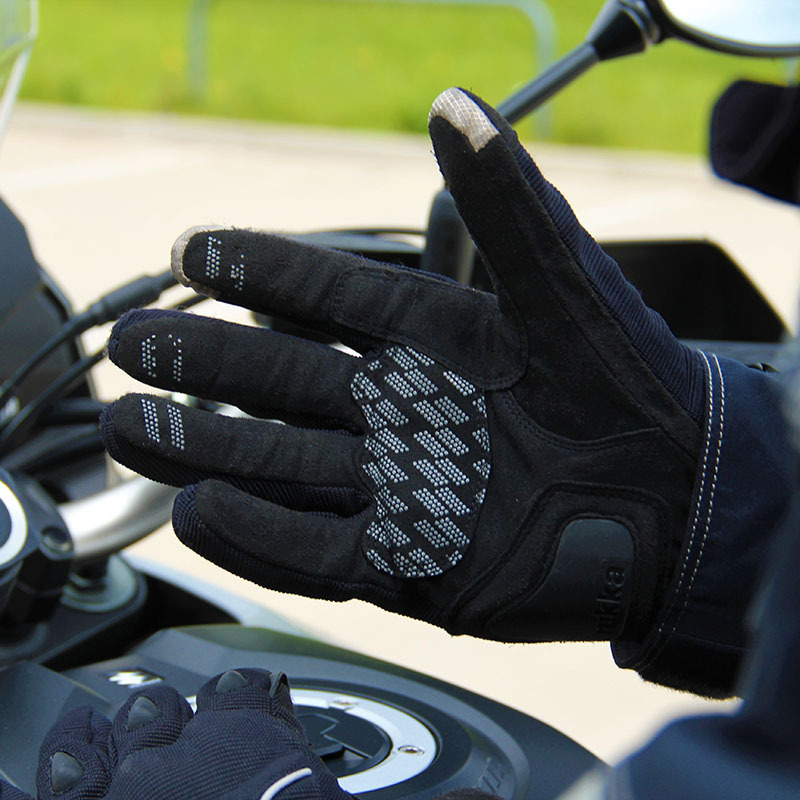 These gloves offer brilliant waterproofing and a load of other beneficial features that set a very high standard. 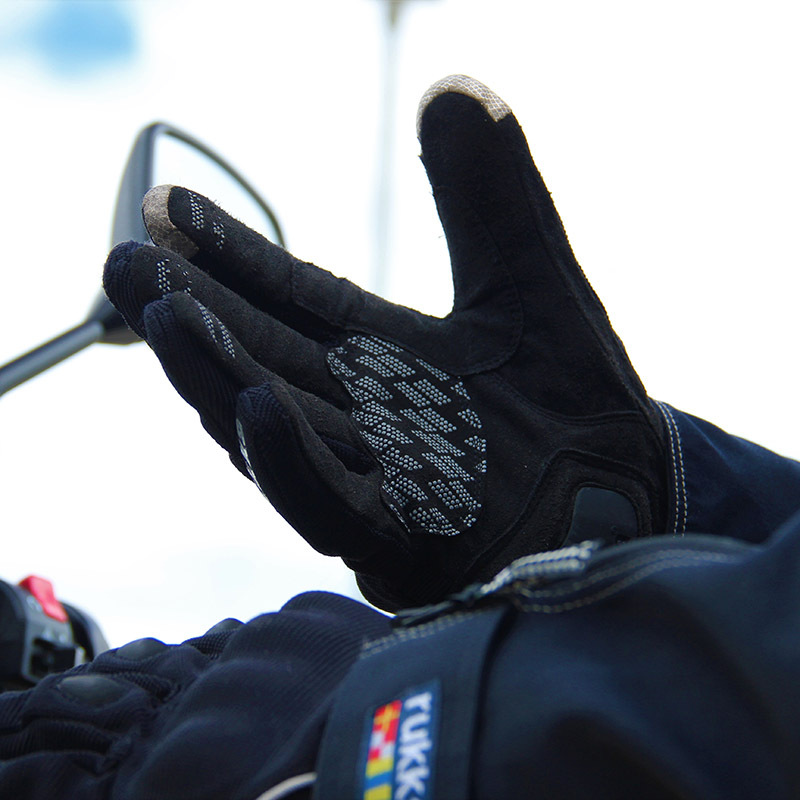 The Rukka Virium gloves are also a great option for vegan motorcyclists as no leather is used in the construction. 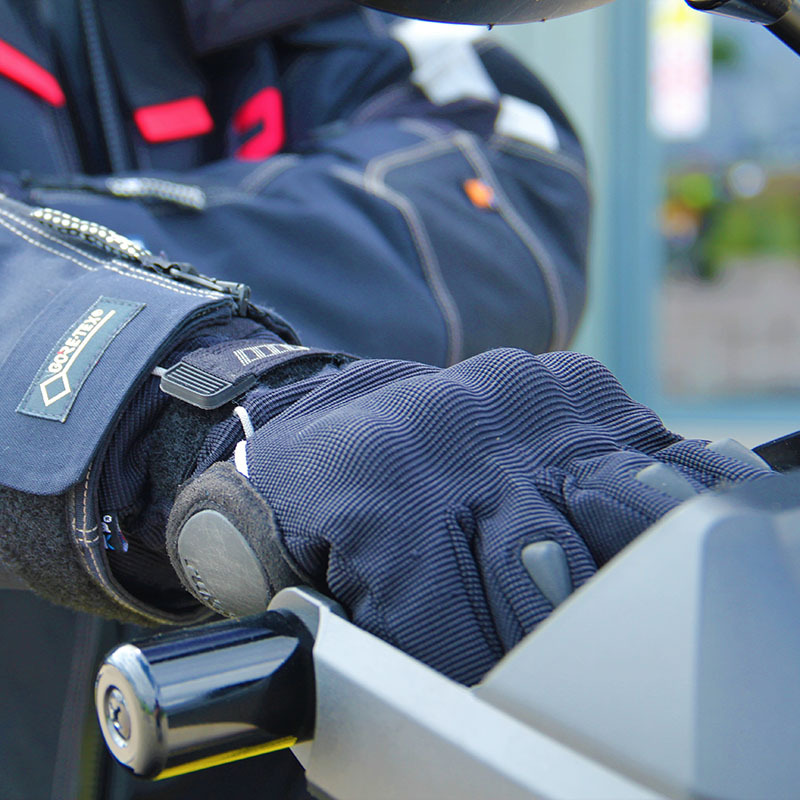 I’ve not had much experience of Rukka riding kit, but I’ve been really pleased with the performance of these gloves over many miles of riding. 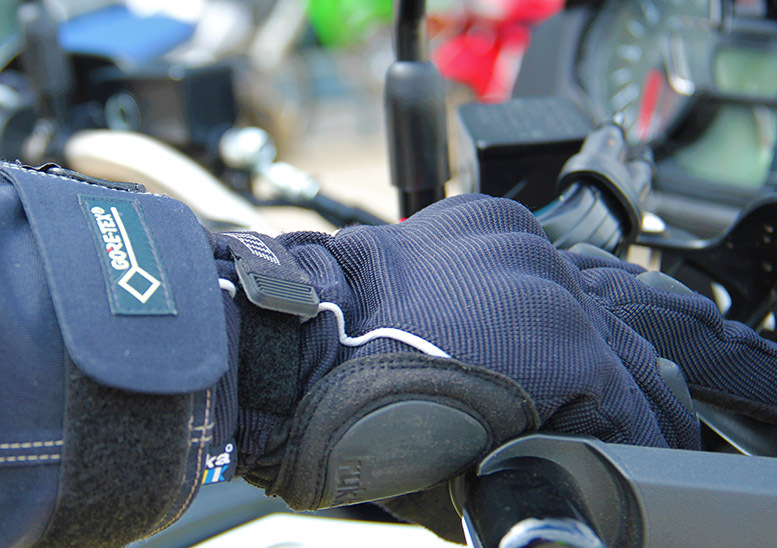 One of the features I think should be standard in all bike gloves is the touchscreen-friendly fingertips! As a tour leader I wouldn’t want to calculate how much time I’ve spent on the side of the road with one glove held between my teeth and a freezing cold hand trying manfully to work out where on earth I am on the satnav. Touchscreen-friendly fingertips eliminates that ‘beautiful’ moment. The waterproofing is provided by a Gore-Tex membrane and their level of rain protection is absolutely fantastic. They’re also windproof and breathable so in hot weather I haven’t ended up with hot and sweaty hands. The way they are made also means no loss of tactile feedback, which is very useful. As I’ve found with most non-leather gloves, these needed a little bit of wearing in before they become completely comfortable. At first they felt a little small, especially in the length of the fingers, but after a day’s ride they felt perfect. My one minor negative would be the fact that when I remove the gloves the lining often comes out with my hand. This causes a little bit of hassle when I go to put them back on, but in my opinion this flaw is not a deal-breaker. The Virium is the male version and the Rukka Suki is a female-specific version with an identical specification. 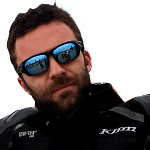 Felix Billington owns Magellan Motorcycle Tours and covers tens of thousands of miles while leading tours and researching new ones. If his kit doesn’t work, he soon knows about it. Really comfortable, but not straight away – it took maybe seven or eight hours of riding for them to stretch out and feel as though they fit properly. 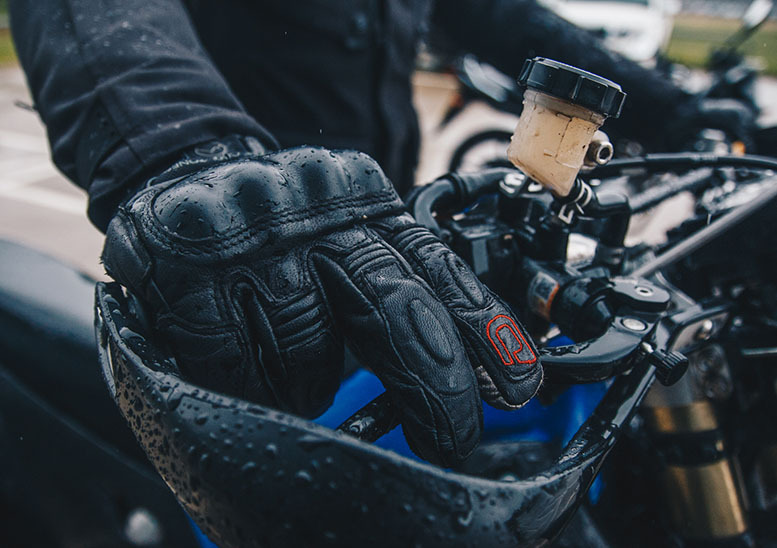 I have had no problems with the waterproofing of these gloves even in relatively heavy rain – the Gore-Tex membrane maintains a great level of protection while remaining breathable. 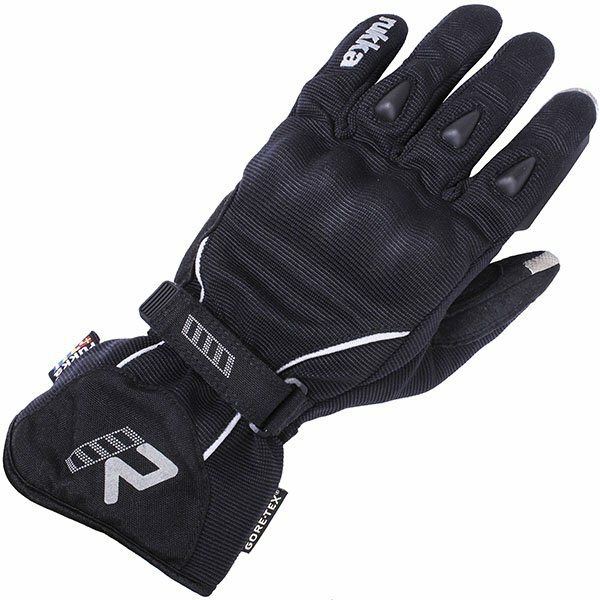 Knuckle, scaphoid and finger protection plus extra grip on palm makes these gloves feel very safe. Brilliantly constructed from high-quality materials − it’s especially nice to have a non-leather option that is so well made as there are people looking for that. 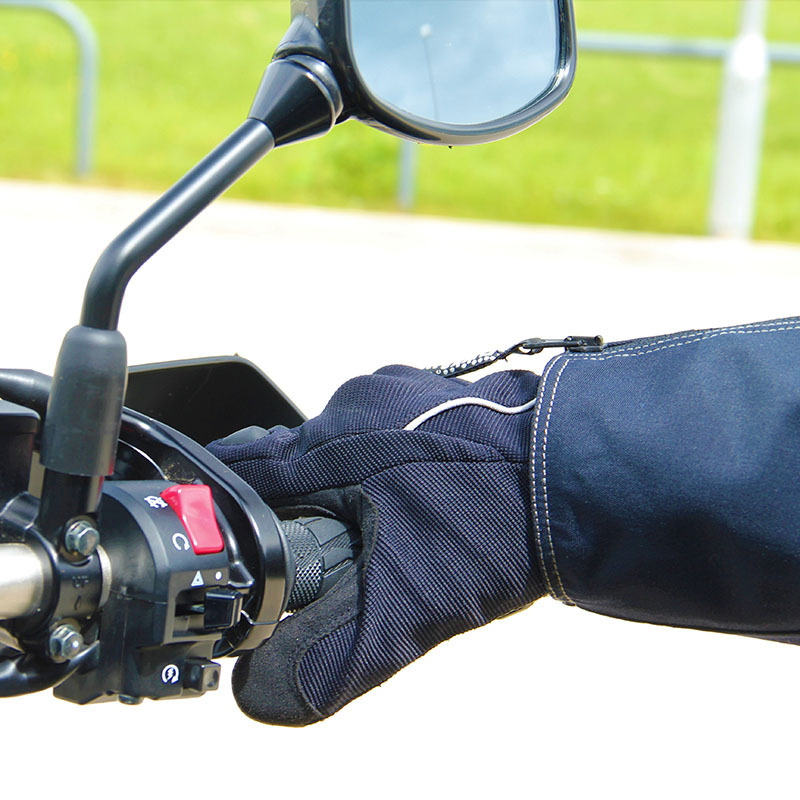 They have a high specification and are packed with features relevant to the touring rider.